It’s not how you’d assume an acting class would start. When the actors entered the classroom, they were told to keep moving, walking around each other or on top of chairs and pads along the wall. Music played, from Britney Spears’ “Oops! … I Did It Again” to an intense orchestral piece. “You’re doing great, angels. Great,” their acting coach Alexandra Billings said. Then two actors picked up sheets of paper and did a scene. The rest of the group paused in attention. After, it’s back to moving — until two others pick up paper and do the same scene. And it went on like this. The energy was intense. Some participants cried, either acting or moving. Eventually Billings followed the actors, coaching them as they perform the dialogue — touching them, talking in their ear. 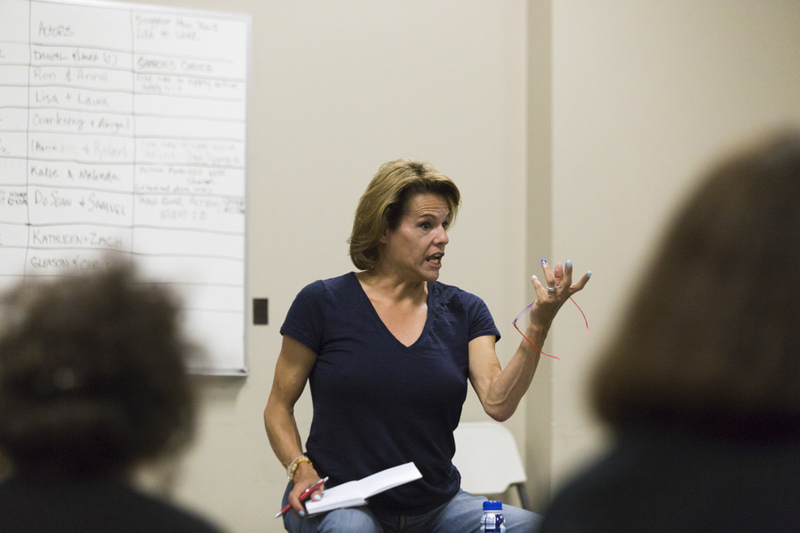 Transparent actress Billings, who joins the USC School of Dramatic Arts faculty in the fall, was coaching the class at USC in a two-week intensive program through the National Alliance of Acting Teachers. 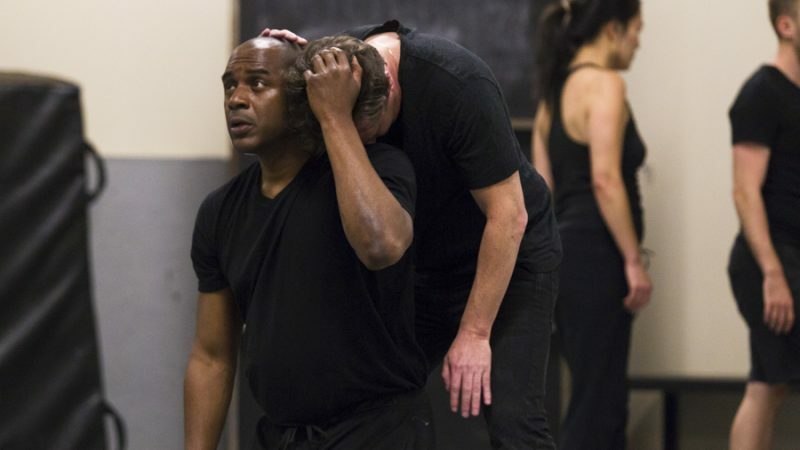 About two dozen acting teachers from all over the U.S. descended on the University Park Campus for the Teacher Development Program, which aims to reconnect the actors to their craft while giving them new ways to train the next generation of actors. The program shows how complex teaching acting can be, according to School of Dramatic Arts Dean David Bridel. 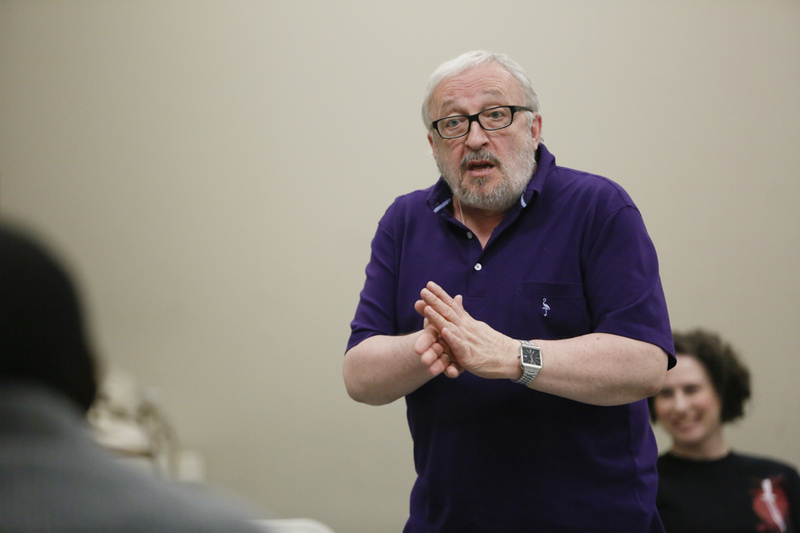 “The teaching of actors … it’s an embodied physical experience just as much it is an intellectual,” Bridel said. Ron Van Lieu dissects a pivotal scene in “Uncle Vanya” at a final class meeting. The program was in New York for two decades but this month was at USC – its first time in Los Angeles, thanks in large part to Bridel. He had become familiar with the program in New York when he taught at The Actors Center, the program’s previous home. “One of my missions, being at the school, is to further impact and excellence of the teaching of actors, and the Teacher Development Program is a natural fit,” Bridel said. Each master brought a different approach. 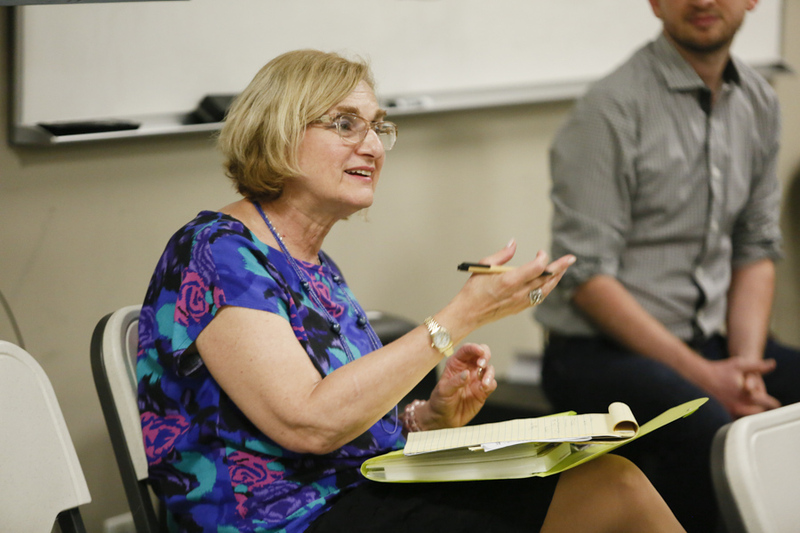 During a Wednesday night class, Carnicke put her expertise in Constantin Stanislavski’s “active analysis” method to work. She asked the actors to ditch the lines, for now. When it comes to understanding a scene, there’s work to do first. 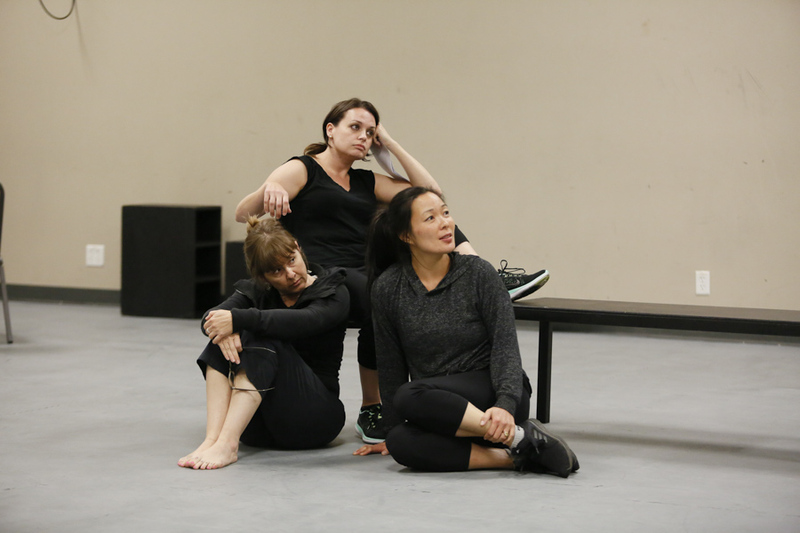 SDA faculty Sharon M. Carnicke discusses a scene work with students. It’s called an étude, which means “study” in French, and it’s intended to let actors to get to the very root of a scene – to understand the relationships, the conflicts. So imagine this: four actors on stage with nothing else for props except some black wooden boxes, acting out the complex dynamic in Anton Chekhov’s Uncle Vanya. Sonya is vying for the doctor’s attention while he is enamored with another, Yelena. Yelena is sitting fanning herself next to him. Sonya grabs the fan and starts to fan her to get in his gaze. Later, Sonya kneels next to him and the doctor touches her chin – very platonically. And without any words exchanged, the audience could see the feelings and relationships among the characters. Students working on a scene during Carnicke’s master workshop. “It’s about owning it and needing the lines – and that hunger for it,” Carnicke said to the group. Stanislavski’s active analysis method remained underground for decades, due to Soviet-era suppression, Carnicke said. Americans became more familiar with his realism, but that was only part of his repertoire. Carnicke, who studied Russian, is internationally known for her understanding of this lesser-known technique – which harnessed yoga and meditation – bestowed by who many consider the godfather of acting. Abigail Killeen, a theater professor from Bowdoin College in Maine who acted in the scene, says the method is more spiritual and holistic than the traditional Stanislavski methods many actors grew up on. Killeen feels it’s more spiritual and holistic, and “deepens the craft,” she said.